As regular readers of this blog may have noticed, there is a theme for September. We I.N.K. bloggers are recalling important — perhaps life-changing — nonfiction books from our childhood. 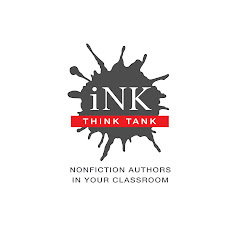 We are also contributing to a list of noteworthy contemporary nonfiction titles that will be compiled at the end of the month. 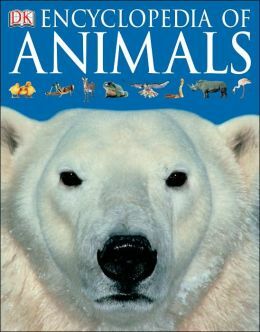 Important nonfiction books from my own childhood are notable, mostly, for their absence. 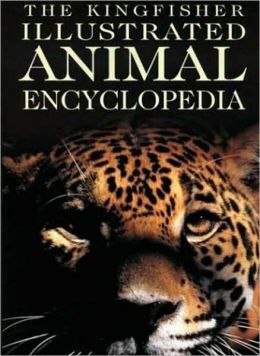 An exception is All About Strange Beasts of the Past, by Roy Chapman Andrews. 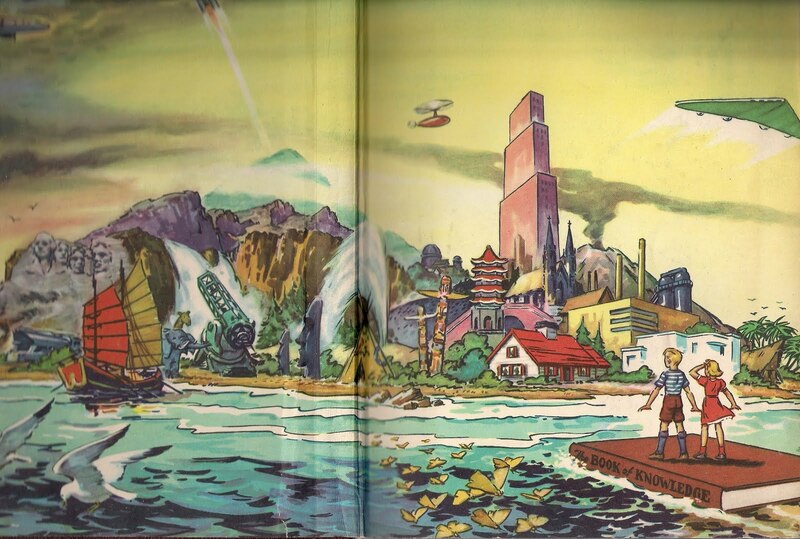 This was perhaps the single most important volume of my childhood (an endpaper is shown — the cover was loved off). 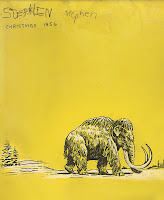 This book was probably responsible for launching my early career as a rock and fossil collector, a preoccupation that lasted into my teens. 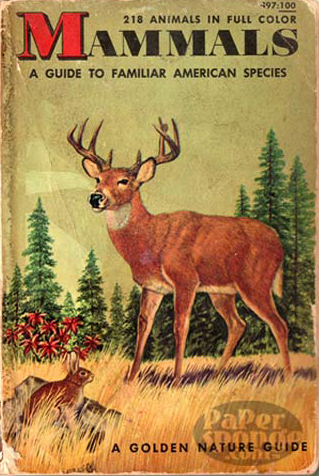 Of course, memory — or the failure of it ­— is part of this story. 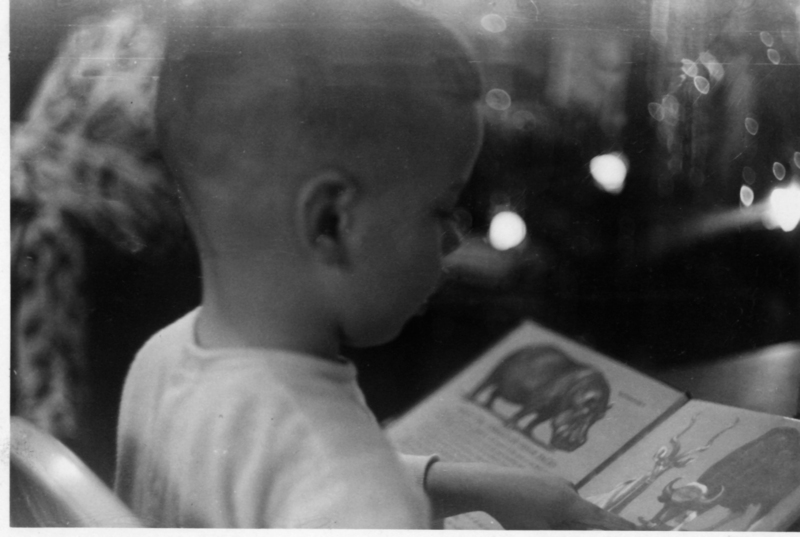 I recently came across this photo of myself at a tender age “reading” what is clearly a picture book about animals, though I have no recollection of it. But if, as far as I can recall, I had access to few illustrated stand-alone volumes about the natural world, I did have encyclopedias and field guides. 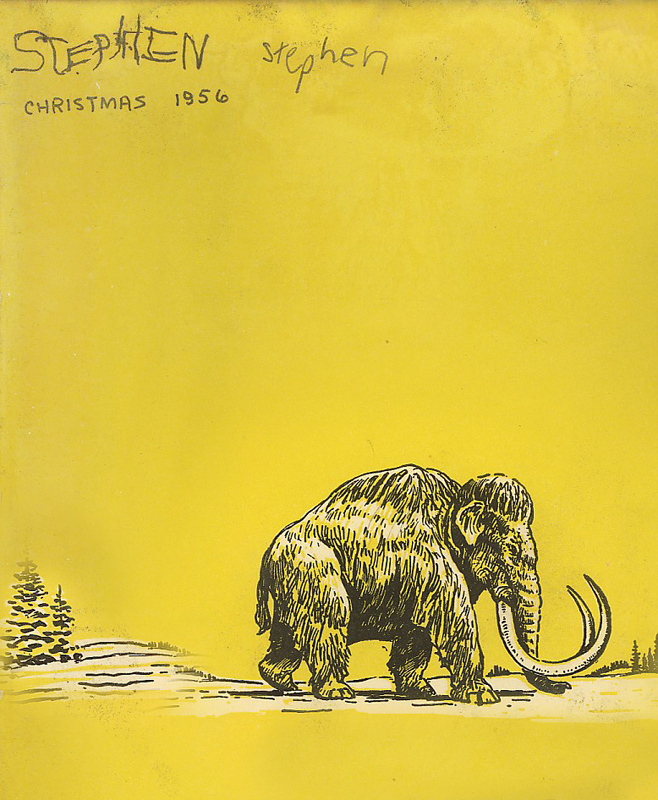 The serial nature of these publications probably made an impression. 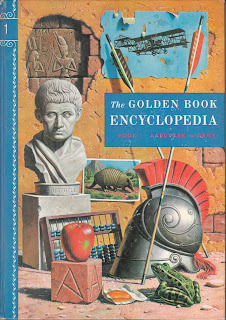 My parents bought each volume of the Golden Book Encyclopedia at the grocery store as it was published (weekly, I think), and I eagerly awaited each new book. What I remember most clearly is the cover illustrations, but the interior graphics and information were fascinating as well, and quite sophisticated for the time. 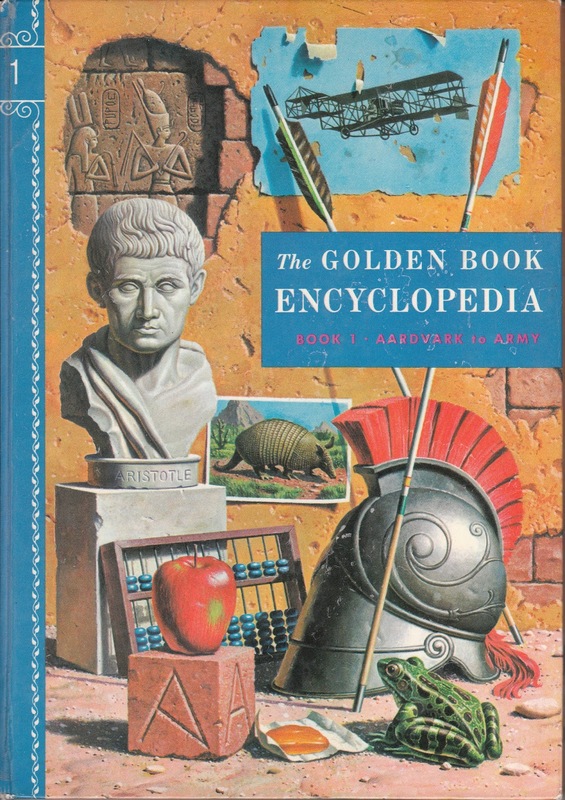 I spent many hours with the Book of Knowledge, a more formal multi-volume children’s encyclopedia, and remember being particularly taken with the endpapers. 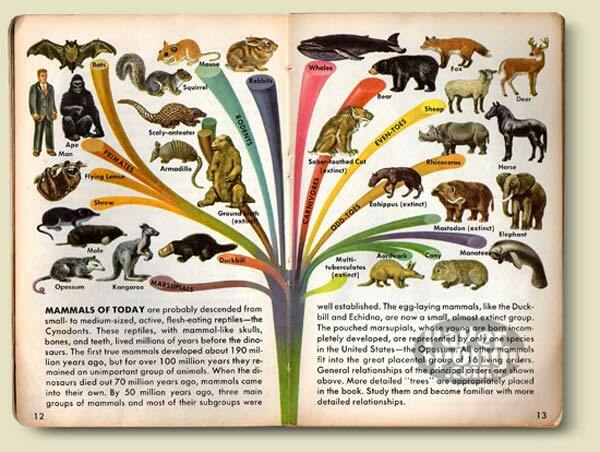 I also owned a collection of Golden Nature Guides (Kelly Milner Halls describes her love affair with the Reptiles and Amphibians volume in her I.N.K. 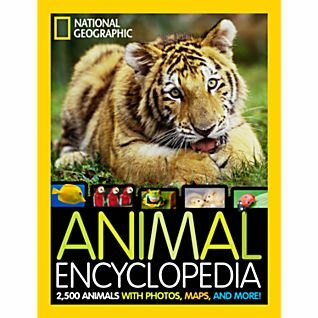 post of September 5th), which allowed me to identify many of the insects, snakes, field mice, and other creatures that I caught and kept in my room. 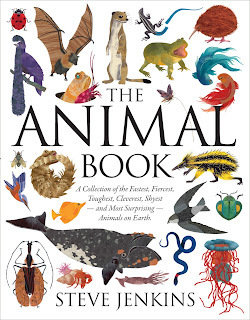 Today there are dozens of beautifully illustrated and/or photographed single-volume encyclopedias about the animal world. 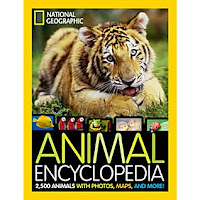 A few of my favorites (some of these books are written for adults, but the illustrations and photos make them accessible to young readers as well): National Geographic Animal Encyclopedia, Dorling Kindersley Encyclopedia of Animals, and Smithsonian Super Nature Encyclopedia. My own modest contribution to this genre, the Animal Book (October 2013) is a little different. 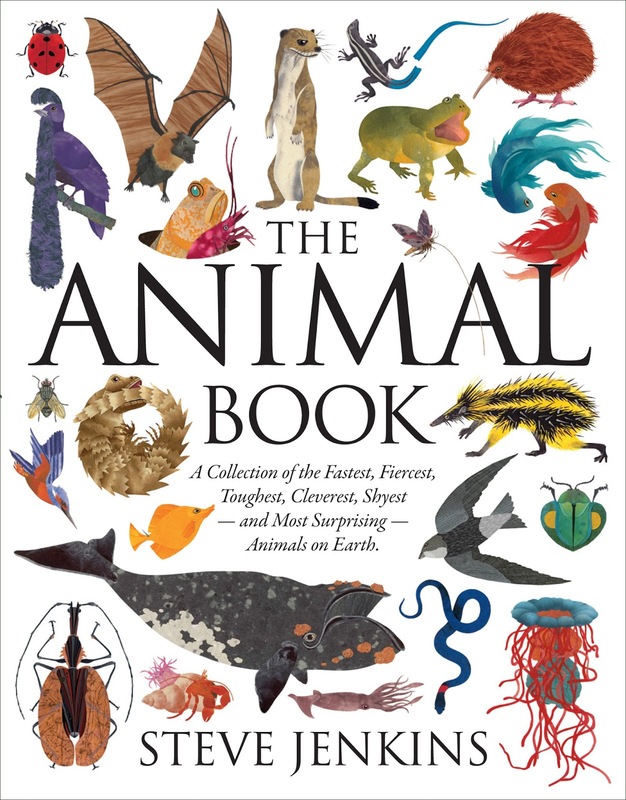 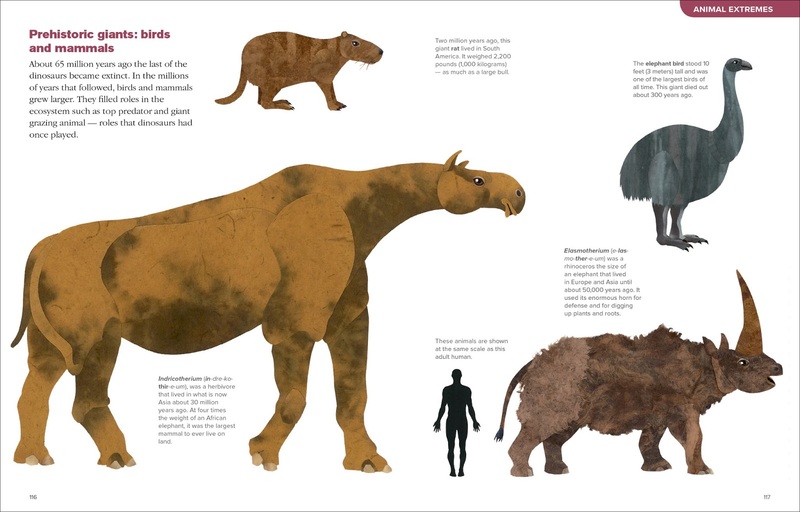 At 208 pages, it’s an encyclopedia of sorts, but the entries are more eclectic and reflect my personal interest in the animals I included in the book. 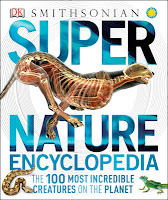 There are still field guides, of course, but also related to those Golden Nature Guides, at least in spirit, are some excellent contemporary series by single authors, often focusing on some particular aspect of math, science, and the natural world. 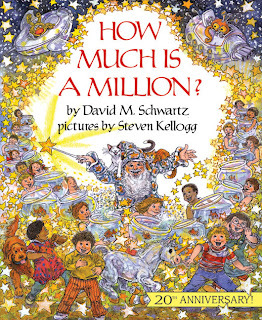 David Schwartz has authored several of these series, including How Much Is a Million and related books intended to illustrate large quantities; the Look Once, Look Again series, which focuses on various biomes and animal parts; and the Life Cycles series. 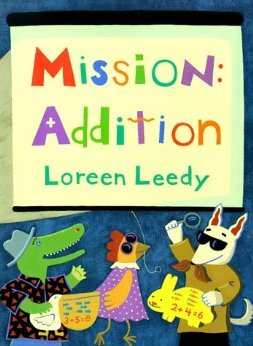 Loreen Leedy’s Mission Addition, Subtraction Action, Fraction Action, and other titles dealing with math and measurement provide playful, non-threatening introductions to basic math concepts. 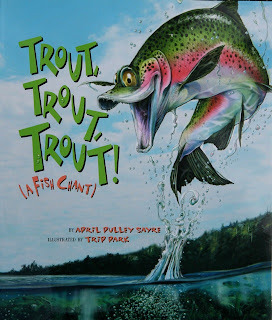 And April Pulley Sayre’s quirky chant series, including Trout, Trout, Trout — a Fish Chant; Ant, Ant, Ant — an Insect Chant; and Rah, Rah, Radishes — a Vegetable Chant are hilarious, infectious, and full of accurate information about their subjects. This is by no means a complete list of nonfiction picture book series, but it covers a lot of ground. Thanks for the shout out, Steve...definitely have hoped to make math more warm and fuzzy! 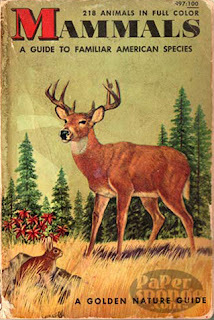 Steve, I love that you cherished your little pocket guide as much as I cherished mine. 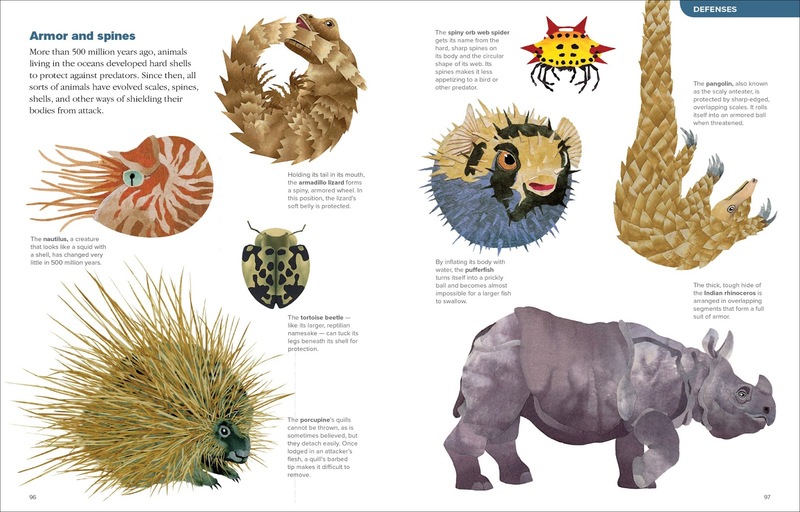 Books really can shape our lives -- as kids and adults. 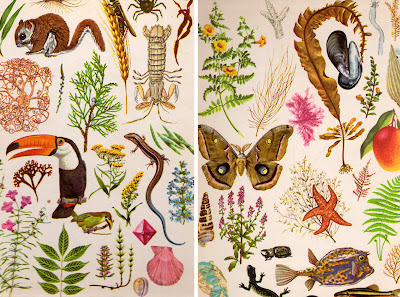 Magic, if ever I saw it.